Almonds are one of the earth's most ancient and nutritious food sources, packed with protein, fiber, and vitamin E.
Wilderness Poets ​is​ proud to offer you sweet, ​delicious organic Almonds grown in California. They are bursting with life and flavor. 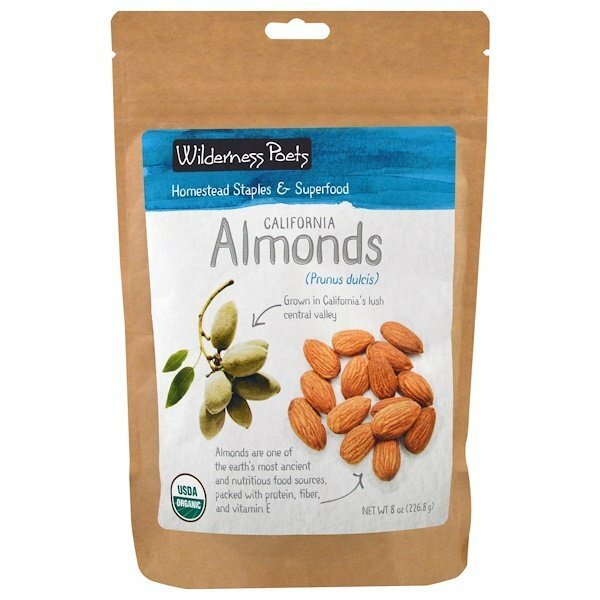 We​ strongly advocate for un-pasteurized foods, and we are committed to supporting our ​regions​ almond farms in California, where pasteurization is now a requirement. 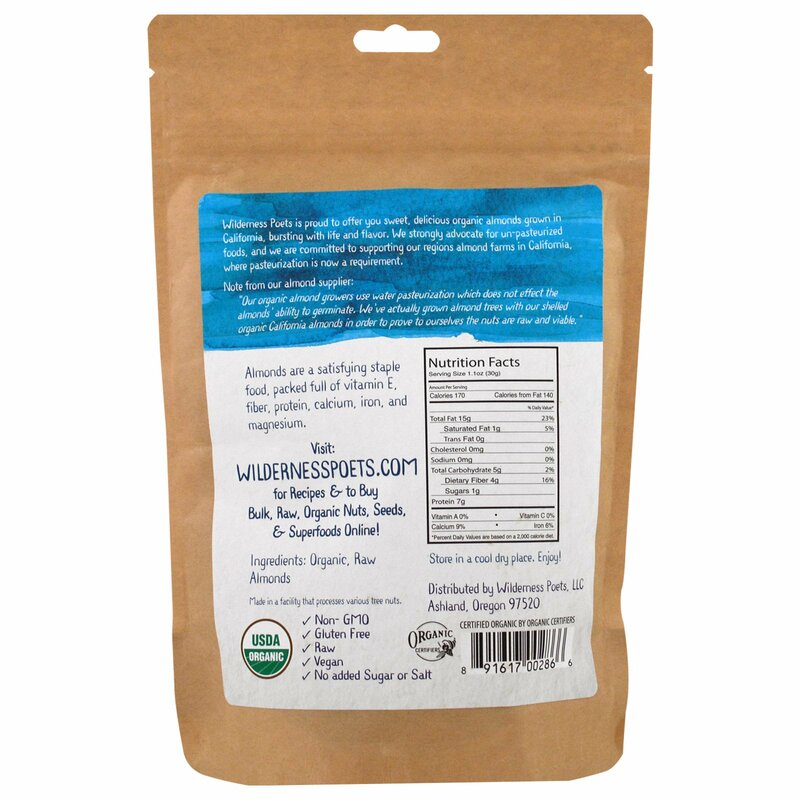 Almonds are a satisfying staple food, packed full of vitamin E, fiber, protein, calcium, iron, and magnesium.